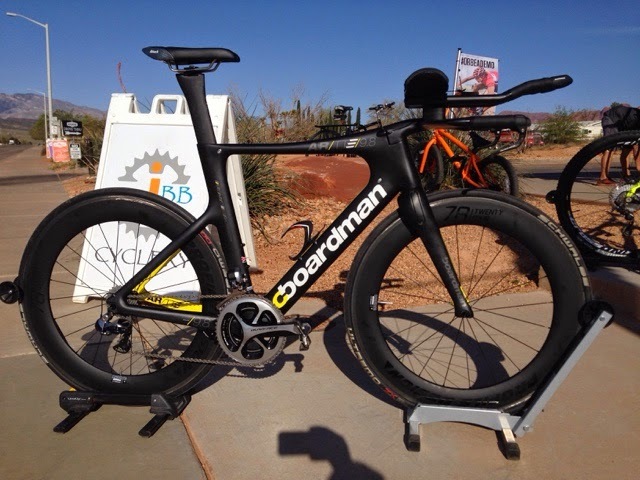 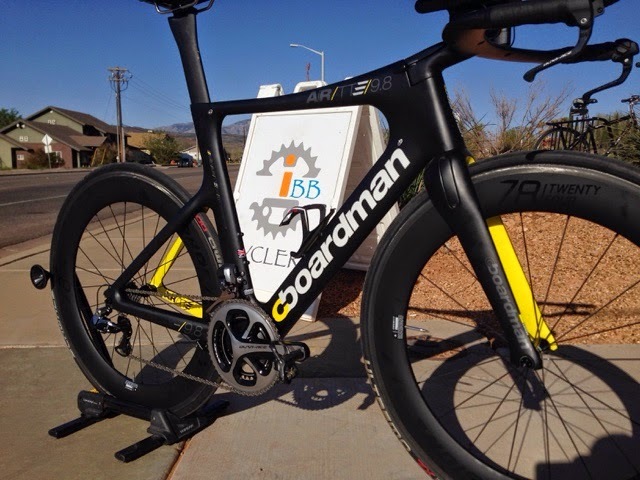 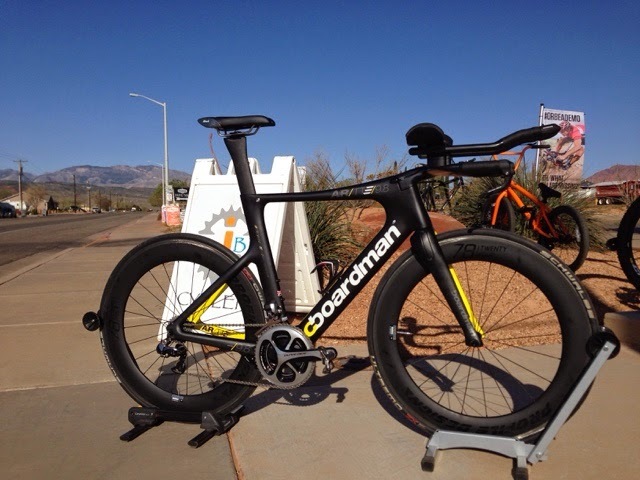 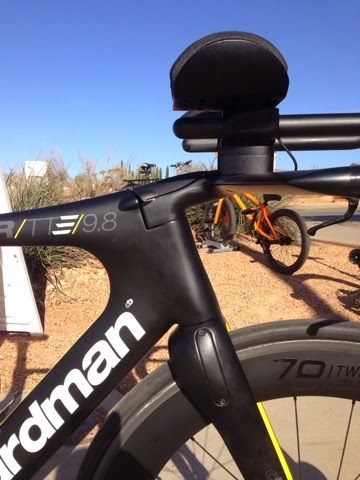 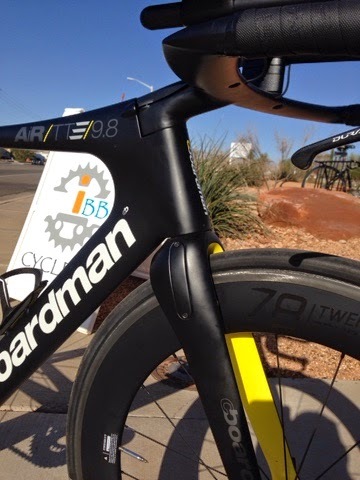 One of the (aerodynamically) cleanest bikes you'll ever see, the 2015 Boardman AiR/TTE/9.8 is incredibly slick, and actually quite light for a TT/Tri "super-bike"
-The integrated stem flows seamlessly into the toptube. 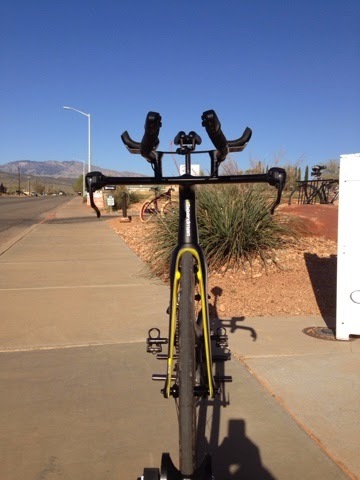 - Di2 front junction box, wires, and brake cables are all routed thru the stem and completely hidden from view. 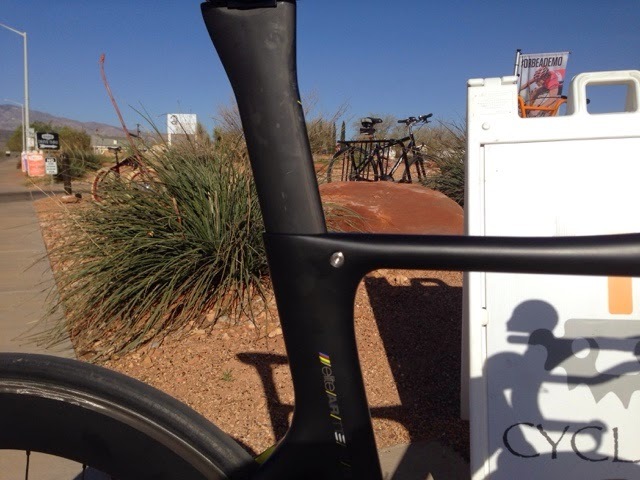 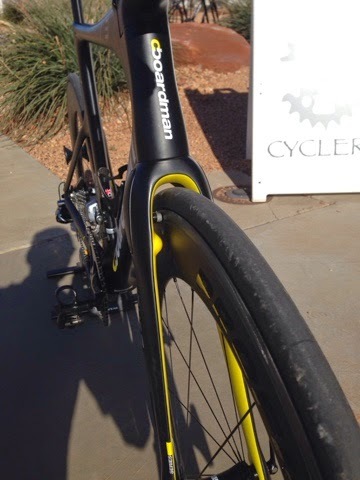 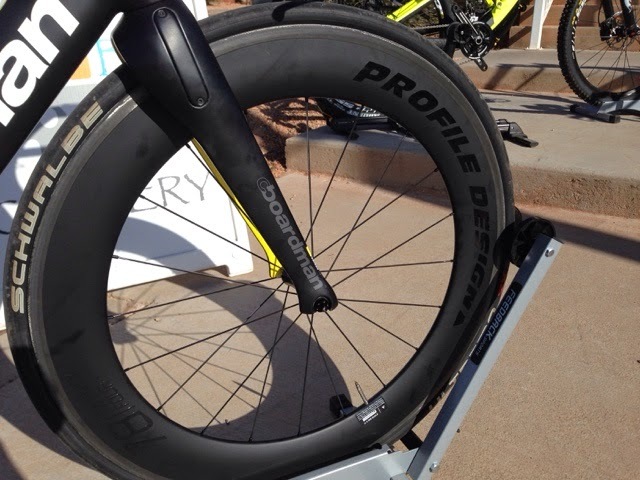 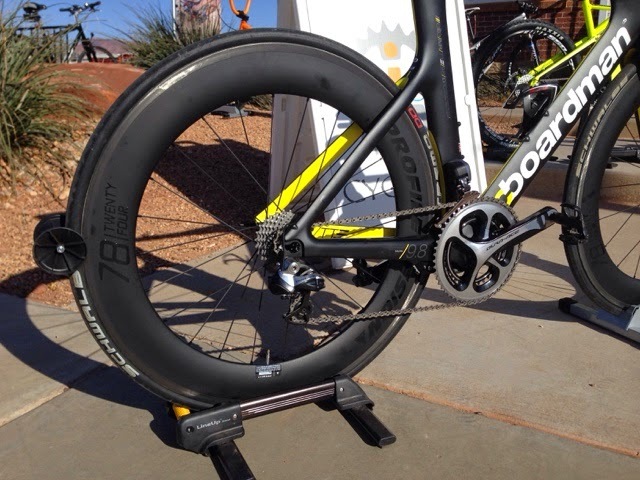 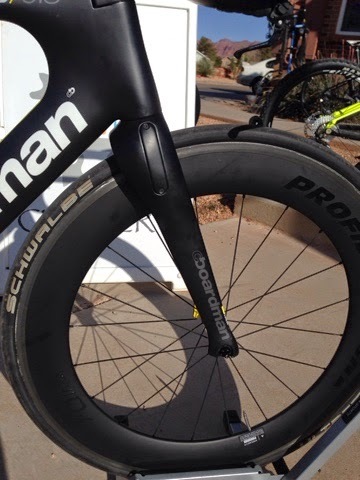 Seen here with Profile Design 78 Carbon Clinchers, Dura Ace Di2, and Stages Power meter crank.